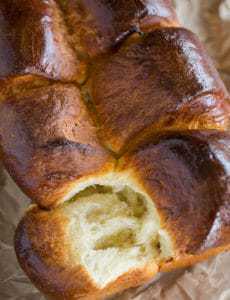 A completely homemade version of monkey bread – no canned biscuit dough here! Homemade dough is rolled into balls, dipped in melted butter and cinnamon sugar, then baked until bubbling and glazed to perfection. Perfect for any Sunday or holiday brunch. One massive, gooey cinnamon roll? Yes, please! 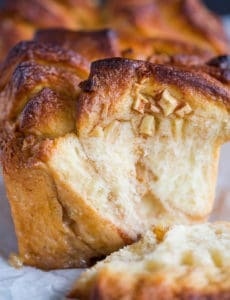 I know this is called monkey bread but I’m having a hard time deciding if it should be classified as bread or a cake. Or a pastry. Breakfast pastry? Oooh maybe that’s it! However you categorize it, this is all kinds of delicious. 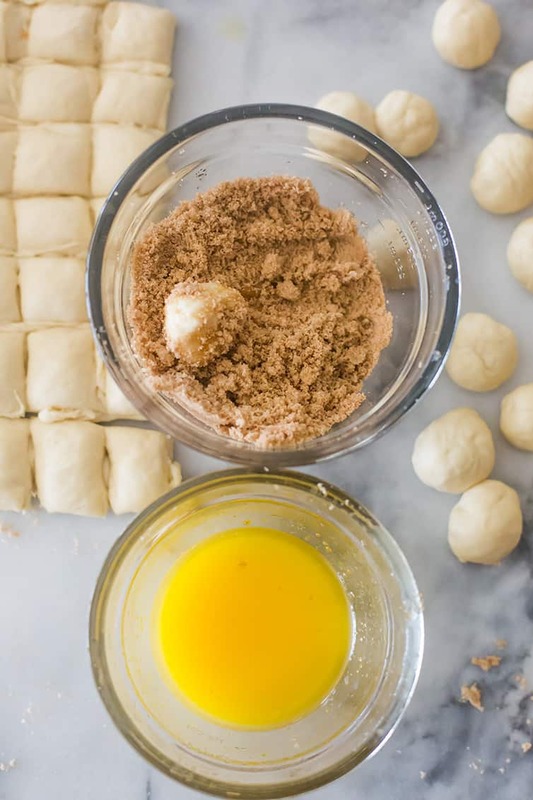 Sweetened dough is cut into small pieces, rolled into balls, dipped in melted butter, rolled in cinnamon and brown sugar, and layered int a Bundt pan. The butter and brown sugar create a caramel sauce that coats the bread once it is turned out of the pan. 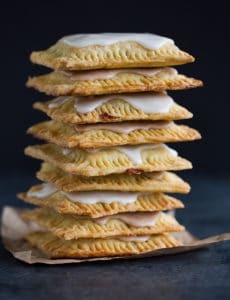 Drizzle the top with a powdered sugar glaze, and you have the most decadent breakfast, snack or dessert (I just love baked goods that can be eaten for a variety of meals or occasions). 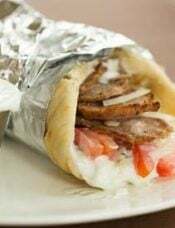 This is meant to be served warm so you can pull the bread apart with your fingers, but it’s also fabulous at room temperature or rewarmed in a microwave. No matter when you eat it, you’ll be licking your fingers clean! 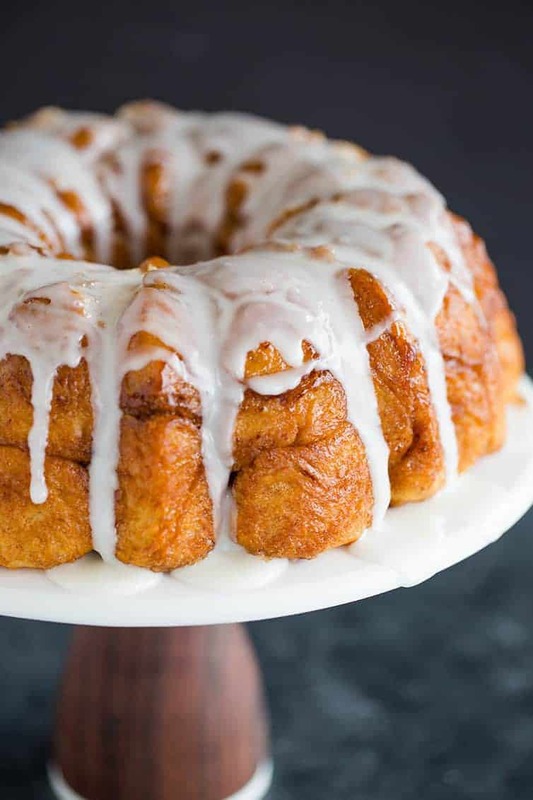 Why Is It Called Monkey Bread? I tried to find the origin of the name ‘monkey bread’ and it doesn’t seem that there is a definitive background. Some claim that the bread resembles the monkey puzzle tree, or that the act of several people pulling at the bread is reminiscent of monkey behavior. First, you start off by greasing a Bundt pan with a liberal amount of butter. You’ll mix the dough together and let it rise until it doubles, then turn it out and pat it into an 8×8-inch square. Then, with a sharp knife, bench scraper or pizza slicer (the bench scraper worked really well for me), cut the rectangle into 64 pieces. One at a time, dip each ball into the melted butter, then roll in the brown sugar/cinnamon mixture, and then layer in in the Bundt pan. Let it rise one more time, bake, glaze, and dig in! While it’s easy to make with a stand mixer and dough hook, you can also prepare this dough by hand. See step #2 in the recipe for alternate instructions. 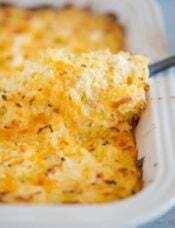 You can do some prep work ahead of time by mixing together the dough and placing it in the refrigerator overnight for its first rise. Take it out and proceed with step #3. 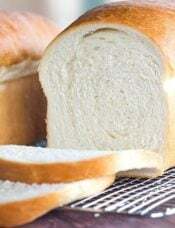 Do not allow the bread to cool in the pan for longer than 5 minutes; the sticky glaze will start to solidify and the bread may break when you try to turn it out. 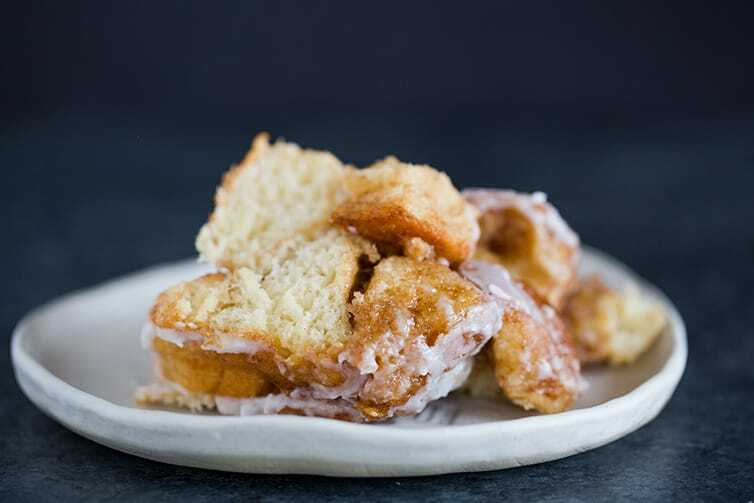 This part-bread, part-cinnamon roll, part-sticky bun breakfast pastry is an absolutely perfect breakfast option for overnight guests or holiday mornings. I can’t think of a better follow-up to Christmas morning present opening or Easter morning basket hunting than digging into this sweet breakfast treat. P.S. If you’re feeling something savory, I’ve also made pepperoni pizza monkey bread! 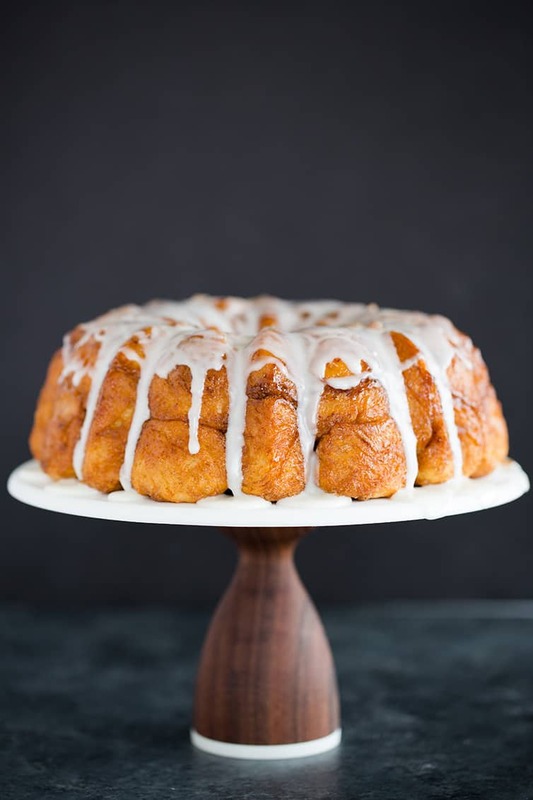 A completely homemade version of monkey bread - no canned biscuit dough here! Perfect for any Sunday or holiday brunch. Prepare the Pan: Grease a standard 12-cup Bundt pan with 2 tablespoons softened butter. Set aside. Make the Dough: In a large measuring cup, mix together milk, water, sugar, melted butter, and yeast. Mix flour and salt in standing mixer fitted with dough hook. Turn machine to low and slowly add milk mixture. After dough comes together, increase speed to medium and mix until dough is shiny and smooth, 6 to 7 minutes. Turn dough onto lightly floured counter and knead briefly to form smooth, round ball. 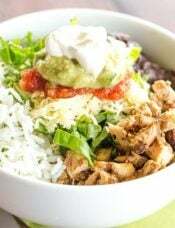 (To Make By Hand: Whisk together the flour and salt in a large mixing bowl. Make a well in the center and pour in the milk mixture. Use a wooden spoon to stir together until a shaggy dough forms. Turn out onto a lightly floured surface and knead until the dough is soft and satiny.) Coat large bowl with nonstick cooking spray. Place dough in bowl and coat surface of dough with cooking spray. Cover bowl with plastic wrap and place in a draft-free area until dough doubles in size, 50 to 60 minutes. Prepare the Sugar Coating: While the dough is rising, mix brown sugar and cinnamon together in a bowl. Place melted butter in second bowl. Set aside. 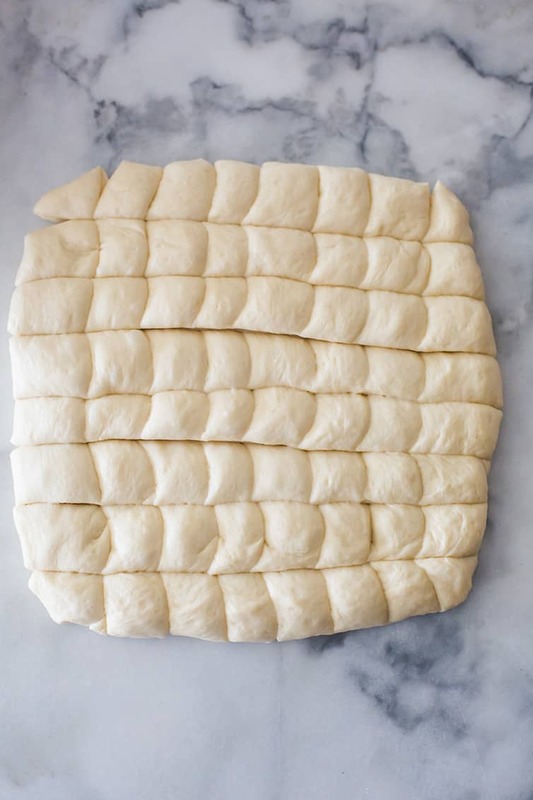 Form the Bread: Gently remove the dough from the bowl, and pat into a rough 8-inch square. Using a bench scraper, knife, or pizza slicer to cut dough into 64 pieces. Roll each dough piece into a ball. Working one at a time, dip the balls into the melted butter, allowing excess butter to drip back into the bowl. Roll in the brown sugar mixture, then layer balls in the Bundt pan, staggering seams where dough balls meet as you build layers. Cover the Bundt pan tightly with plastic wrap and place in draft-free area until dough balls are puffy and have risen 1 to 2 inches from top of pan, 50 to 70 minutes. 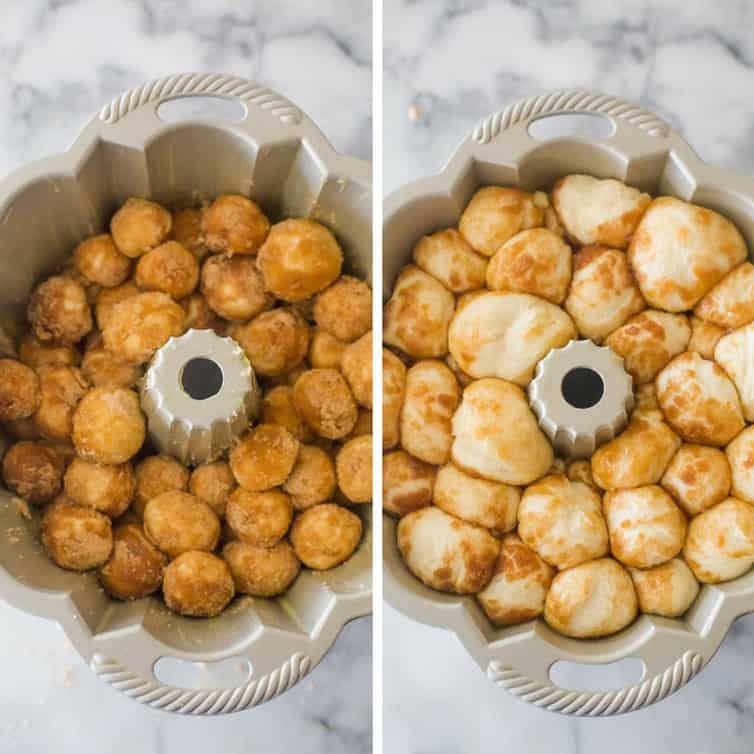 Bake the Monkey Bread: Preheat oven to 350 degrees F. Unwrap the pan and bake until the top is deep brown and caramel begins to bubble around the edges, 30 to 35 minutes. Cool in the pan for 5 minutes, then turn out onto a platter and allow to cool slightly, about 10 minutes. 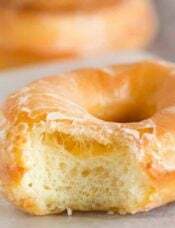 Make the Glaze: While the bread cools, whisk the powdered sugar and milk in a small bowl until the lumps are gone. 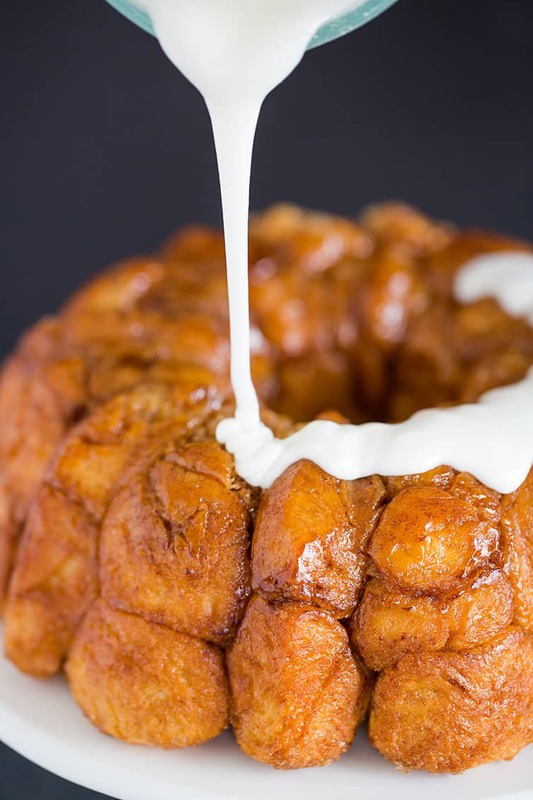 Using a whisk, drizzle the glaze over the monkey bread, letting it run over top and down the sides of the bread. Serve warm. While it's easy to make with a stand mixer and dough hook, you can also prepare this dough by hand. See step #2 in the recipe for alternate instructions. 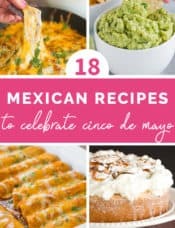 This recipe was originally published on August 27, 2010.